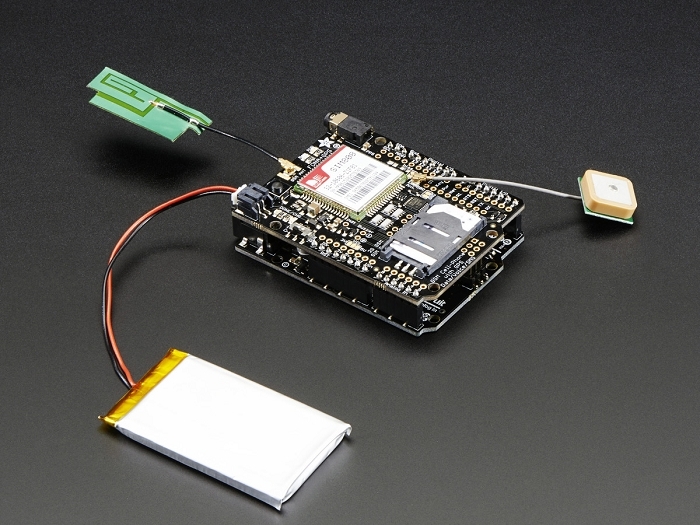 Onboard LiPoly battery charging circuitry so you can take your project on the go. 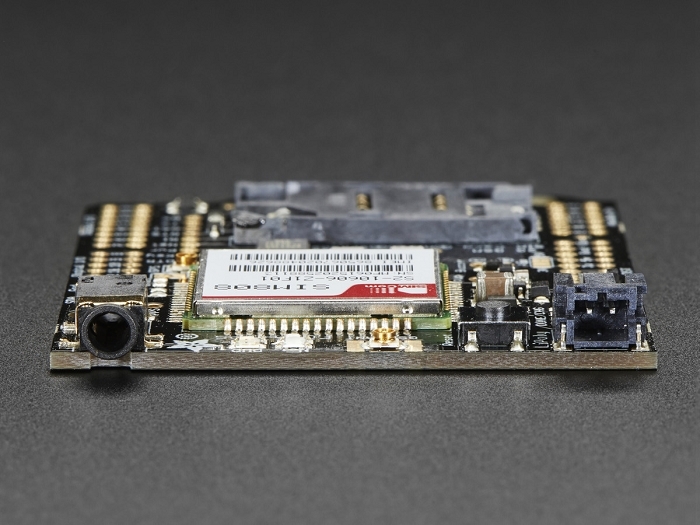 Use any of our 500mAh+ LiPoly or LiIon battery and recharge via the Arduino when necessary. Two LEDs let you know when its charging and done. You can then flip the switch and use the battery to run your circuit! Lipoly Battery- 500mAh or larger! This 500mAh battery, or this 1200mAh will work great. External uFL GSM Antenna- this slim one works great. TRRS 4-Pole Headset- Any 'iPhone' or 'Android' compatible (but not iPhone original) should work. We tried about 10 different ones, and basically the more expensive once are more comfortable and louder but our official iPhone headset mic did not work. External Mic & Speaker - If you want to talk directly to your FONA, an electret mic and mini 8 ohm speaker. 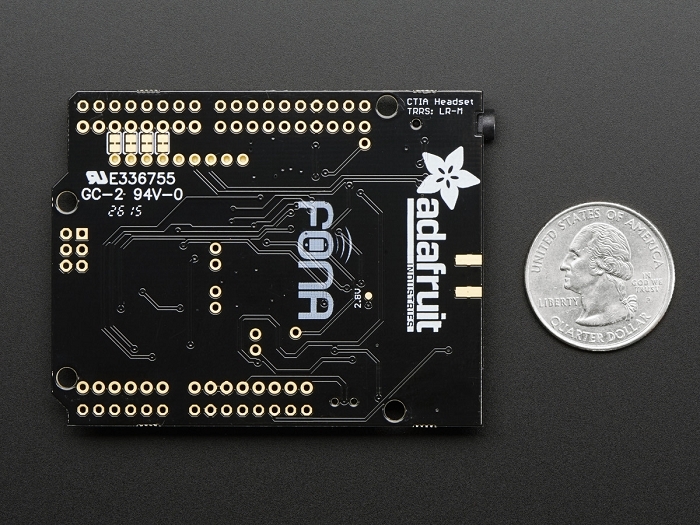 Vibrating motor- the FONA can drive this directly, just solder a mini vibrating motor disc in! 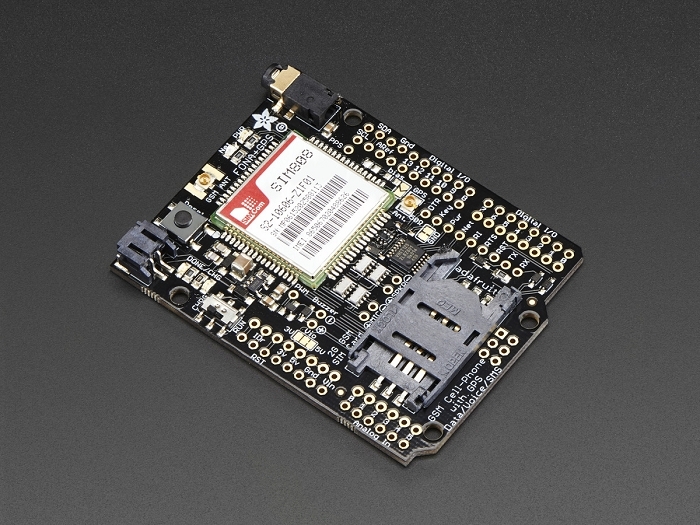 Check out the great Adafruit tutorial for code, wiring diagrams, schematics, datasheets and more!